A shocking investigation by a British watchdog has discovered that car dealers are manipulating customers’ interest payments to earn larger commission totalling an ‘unacceptable’ £300 million each year. The report comes almost two years after the Financial Conduct Authority (FCA) declared they would carry out mystery shopping trials of the industry and analyse millions of credit files. In 2018, UK motorists borrowed a staggering £37billion on car finance to buy new and used vehicles. The popularity of loans such as Hire Purchase (HP) and Personal Contract Purchase (PCP) enable motorists to buy their car by paying instalments and mean big business for both car dealerships and lenders. In fact, Brits buy about nine out of ten new cars this way. Yet, a recent investigation by the FCA found that lenders aren’t satisfactorily controlling the ‘conflicts of interest’ that are occurring from the extensive use of commission models that enable car dealers to make more in commission by deciding the interest rate. Under certain commission models, the regulator estimates motorists can pay around £1,100 extra in interest charges over a four-year period for a typical car finance agreement on a £10,000 vehicle. About 560,000 drivers have signed contracts where the loan price has a link to the level of commission received by the dealer, yet the watchdog discovered the bulk of dealers neglected to tell their customers they would receive a commission for setting up the loan. How many car dealerships disclosed they would receive a commission on the sale? After uncovering serious concerns about car finance agreements from 20 lenders, making up about 60% of the market, the FCA has contacted car finance companies and says it’ll get tougher on the rules of car finance commission deals. The FCA found a few dealers were only concerned whether their customer was a credit risk. “This is simply not good enough and we expect firms to review their operations to address our concerns,” added Mr Davidson. The watchdog is considering strengthening existing FCA rules, limiting the discretion that brokers have to set interest rates, and banning certain commission models. For those firms identified as failing customers, the FCA will pursue them and take any necessary action. Although this sounds like earlier mis-selling scandals such as Payment Protection Insurance (PPI), the FCA isn’t intending to make finance companies pay compensation to those customers who paid more than they should have, nor does it plan to do anything about any existing loans. The motor finance trade body, the Financial Leasing Association (FLA), criticised the FCA’s report. “Regarding the FCA’s concerns about commission structures, their survey work is based largely on out-of-date information and therefore does not reflect the very considerable progress the market has already made in moving away from such structures. If you’re planning on getting a new car, shop around using reputable retailers, compare finance deals, check the total amount you’ll need to pay back, and ask how much the broker or dealer will receive in commission. 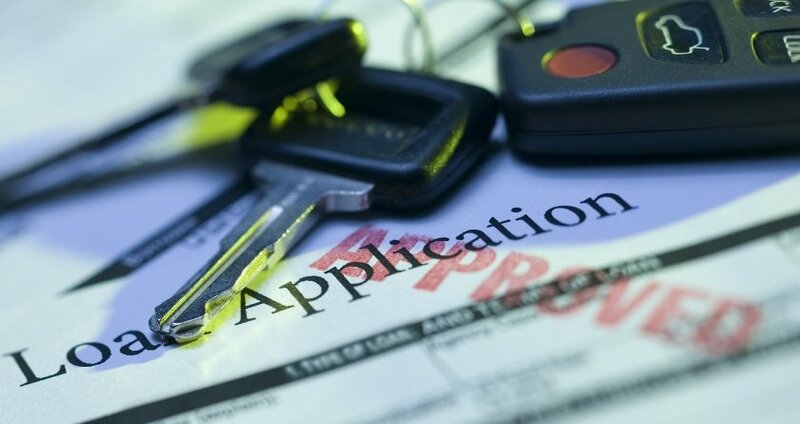 If you can’t afford to pay for your next vehicle outright, the next cheapest option is to make a one-off payment using an unsecured personal loan but, unless you’ve got a great credit score, it’s doubtful that you’ll get approved and, by purchasing a vehicle this way instead of taking the finance offered by the finance arm of the manufacturer, you won’t get any money towards the car. Personal car loans are both easy to understand and set up and you might also get the dealer to reduce the price due to being a cash buyer. Once you’ve paid the dealer, you own the car outright, although that also means you’re responsible for all the repairs! HP and PCP deals work out more expensive and you don’t own the vehicle until you make the last— often large —payment. If you buy a car using HP or PCP, try to pay off at least part of the balance with a credit card so you have the extra protection offered under Section 75 of the Consumer Credit Act, which states that the credit card company has joint responsibility with the retailer—useful if you make a future complaint. What do you think of the FCA’s findings? Are drivers being ripped-off or pressured into finance they don’t understand and can’t afford? Tell us your views in the comments. Well who’d have thought…..why wouldn’t car dealers stick their snouts in to the ‘rip off the motorist trough’, be it Government, Insurance Companies, Fuel Retailers, Transport for London, Parking Companies, County Councils, they all view the motorist as a cash cow, who they have a God given right to profit from. Very well done you Paula…. they got me for thousands! GAP insurance is definitely worth it when it’s needed. I do agree that if you don’t buy a car through their finance methods but want to purchase a car outright they look at you as if you’re a hindrance to them. But am I shock? Nope, it’s called business. Happens in all businesses not just car sales. All insurance is definately worth it when it’s needed. Paula, they don’t want cash, can’t accept cash because they need to prove were the money came from under new laws for money laundering. As for gap insurance, it’s a very good idea, your new car may have lost 7 grand the second you drove it off the forecourt, your insurance only pays market value so if the worst happens your out of pocket. And if on cpc, oh dear you owe for the whole vehicle at list price. My franchised dealer tried to bilk me for Gap insurance, but I knew it was available for a third of the price independently, and I found some insurance policies give you a minimal equivalent (replace as new) in the first two years – and you can still get Gap insurance up to two years after purchase from new. So it’s worth checking around, considering the benefits, and doing some sums before deciding – but dealer Gap insurance generally seems to be a rip-off. I recently bought a car from a main dealer, haggled with them until they gave me a discount off the car “finance deposit contribution” and upped my PX allowance for using their PCP, I refused their GAP insurance at £1,000 and got the same cover online for £240. I then cancelled the finance agreement in the 14 day cooling off period and paid off the loan benefiting from the discount I’d negotiated, play them at their own game! I’ve just purchased a used Jaguar F Pace using PCP over a four year period which on hindsight was the wrong thing to do. A personal loan over three years would have been cheaper. Never once was I told that the garage would be paid commission on selling the loan to me. Now I understand why they pushed/promoted the PCP so strongly. This is no different to the PPI and PLEVLIN scandal. It’s a wonder that Martin Lewis has not picked up on this. Quick question! Do you work ‘for nothing’? Banks make a profit on loans, businesses make a profit on products, Supermarkets make profit on food! So a dealership will be paid a commission for handling the Finance company’s loan facility. It’s so easy to be critical about a business operating for profit! I think it is shocking I’ve bought many cars on pcp finance offerd by the dealers and never knew any of them were getting commission on it. I believe that they should be made to pay their customers back it’s shocking. Really?? The whole process is about comission. You would need to be a right idiot not to realise that. Do the supermarkets tell you how much they pay the farmers/suppliers?? Does your painter and decorator tell you how much of a discount he gets when he bulk buys his supplies resulting in him earning more money?? People need to learn better negotiation skills to pay less. Totally agree with everything you said,. Cant believe so called educated people are so thick,there ignorance astounds me. There should be no comma after said. Can’t has an apostrophe and I think you mean their rather than there. Ewan must not have been to school, it’s how the world works, all the staff are on commission, the more they sell the better. Your car insurance broker is on commission to, as is your friend the bank manager or the staff member who deals with you. Ready for a holiday from being ripped off, your travel agent will be on commission, usually a % of the total cost! Yes like the latest ‘bandwagon’ for claiming money back on, is poor ‘investment advice’! Be fair someone has to pay the salaries or “remuneration” as they prefer to call it of the finance execs. I thought I had found an honest transparent up front mutual building society as they portray themselves in the television ads. Then I learned the Nationwide Building Society pay some of their execs millions of £ then add on expenses … not only a car but a driver as well. Mutual I can tell you there is buck all Mutual about them. Interesting, just purchased a 2 year old Toyota from a Toyota main dealer.They were more interested in selling me Gap insurance, finance and protective treatment for the car than selling the car. I told them to stop wasting my time as I was a cash buyer. Started to walk away and in end got a good deal. (for me!!) Put some of the cost onto my credit card to get extra protection under the Consumer Credit Act. Hi . Having read all the information provided I believe the customer should be refunded the overpayment directly from the finance company. It’s a fact to say that both statements are true, you are not advised at the time of purchase that the sales executive will be given commissions on deals . Neither do they meet the requirements under the pre contract disclosure . It’s a disgrace. What do you mean by “discovered”? Were you expecting to borrow £7500 and pay it back over five years interest-free???? As they would have said on Allo Allo , Screwa de motorist. I have always bargained and negotiated car deals, been in business too long not to know how it works, BUT I did not know that the dealer sharks can set their own interest rates. This is step too far, and I for one will always ask to see how the interest on aPCP if I buy this way, never so far, is set. BEWARE, we all know they have to make a living , but this is immoral and I hope will become illegal. If you are stupid (or rich) enough to get into a finance deal you don’t know the rate/cost of, without checking alternatives, I don’t have a lot of sympathy. I bet you didn’t buy the car without comparing prices, so why buy finance without comparing? On the other hand, to everyone saying “its a business, dealers need to make money”, i would point out the dealers business is selling cars, getting back handers from finance companies does seem a little underhanded (though not unexpected).